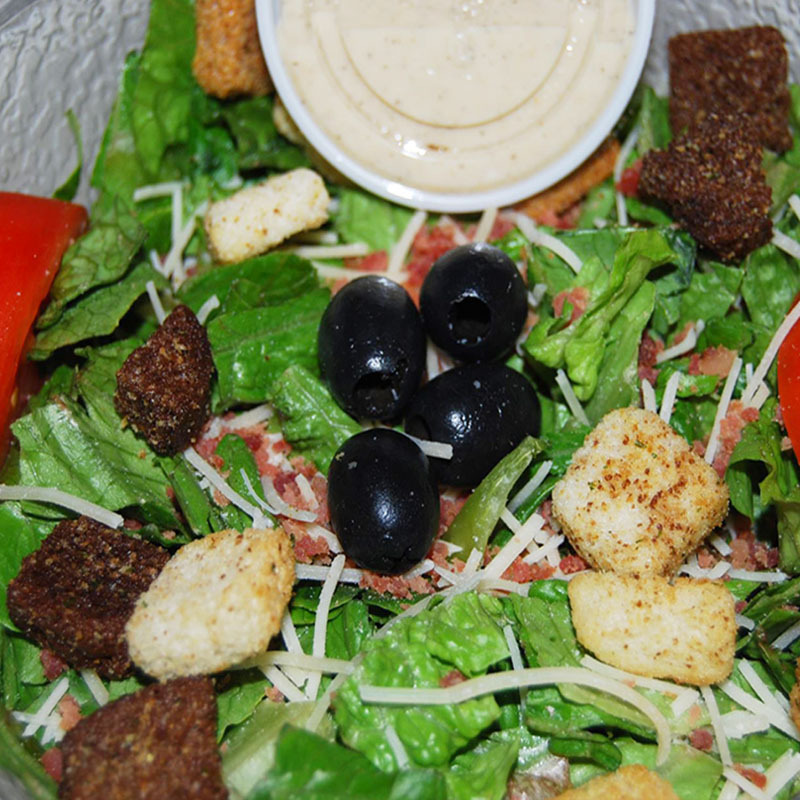 Romaine lettuce, tomato, bacon bits, croutons, parmeson cheese & black olives. Served with Caesar dressing. Romaine lettuce, tomato, bacon bits, croutons, parmeson cheese, black olives and grilled chicken. Served with Caesar dressing. Strips of grilled chicken, tomato wedges and diced cheese on a bed of lettuce. Served with your choice of dressing. 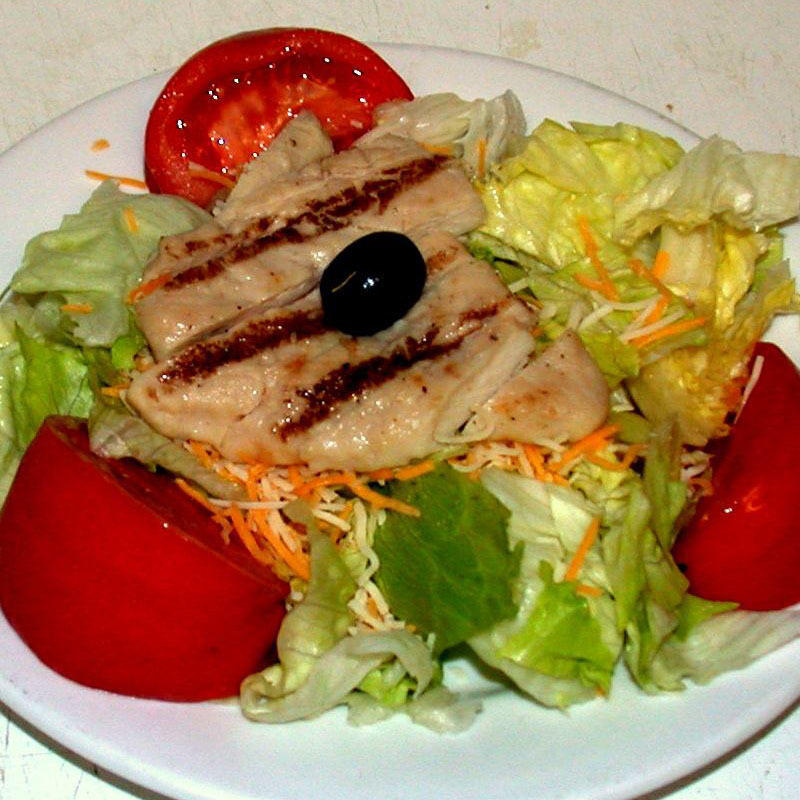 Creamy southern-style chicken or tuna salad on lettuce with tomato wedges and a pickle spear. Autumn berry with pecan. Creamy southern style chicken salad. Strips of crispy fried chicken breast, tomato wedges and diced mozzarella cheese on a bed of lettuce. Served with your choice of dressing. Smoked gouda cheese, cream cheese, crab meat, and a dash of jalapeno pepper, battered and fried. Served with ranch dipping sauce. 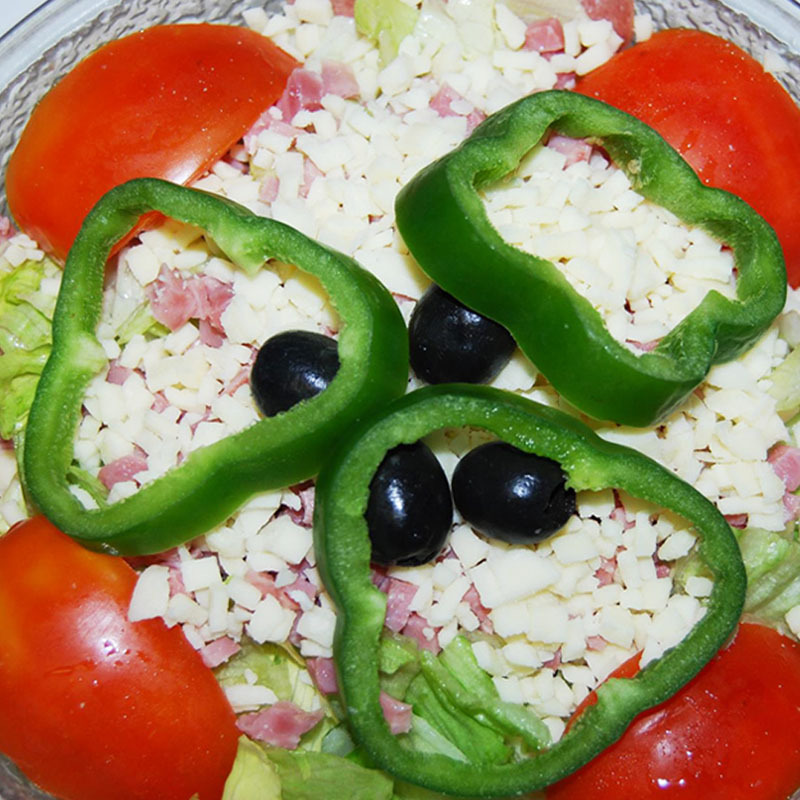 A large bowl of crisp greens with chopped ham and mozzarella cheese, topped with ripe olives and your choice of dressing. A Smaller bowl of crisp greens with chopped ham and mozzarella cheese, topped with ripe olives and your choice of dressing.